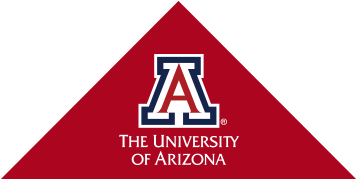 As part of a group of 50 high school students taking part in the 12th annual KEYS Research Internship at the University of Arizona’s Bio5 Institute, Phuong-Trinh Dao and Alyssa Holiday presented their presentations during the showcase which marked the conclusion of the 7 week internship. Dao had teamed up with Nathan Cherrington, professor of pharmacology and toxicology, to study the effect that NASH, a severe form of nonalcoholic fatty liver disease, has on a natural liver detoxification process. Holiday will be a senior at Tuba City High School on the Navajo Nation, and her goal is to become a medical doctor. She partnered with Kathleen Walker, assistant professor of entomology, for her research project to compare the effectiveness of traps for disease-spreading mosquitoes in Southern Arizona. To learn more about these two girls and their journey, click here.